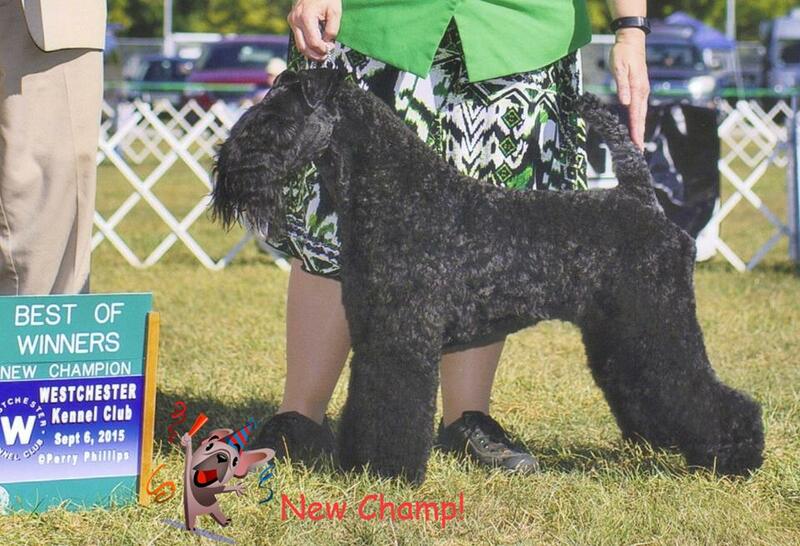 Congratulations to Philip & Joe on UKC CH Paxon's Lady Sapphire Lakeland Jewel, "Phelan"!!!!!! "Phelan" did a great job at the UKC show ... TWO Group 1st place finishes, one Group 2nd, a Group 3rd, Reserve Best in Show and a UKC Championship title! Congratulations to "Jesse", Paxon's Turning Heads at Kastlekove on his back to back BOB wins at Wilmington KC & Penn Treaty KC!!! WTG Michelle & Jesse!!!!! "Tyra", Paxon's Fashionista & "Sean", Paxon's Secret Agent attend the Brookhaven KC match & each win the Terrier Groups (puppy & adult) !!! Long Island hosted 3 shows on the 15, 16, & 17. "Sean" came home with 2 majors !!! "Tyra" was WB, BOS at the LIKC & "Phelan" was RWB. "Jesse" won the major at the Sat. show!!!! It was a GREAT weekend!!! Empire KBTC supported entry at Greenwich KC sees "Jesse" win his 2nd major by going WD, BW & Best of Breed & repeats the win the following day at Longshore Southport KC!!!! New Ch. Paxon's Secret Agent, "Sean", finishes with 3 BOB's in New Paltz NY!!! At Twin Brooks KC on Sun. the 12th "Tyra" is awarded WB, BOS!! 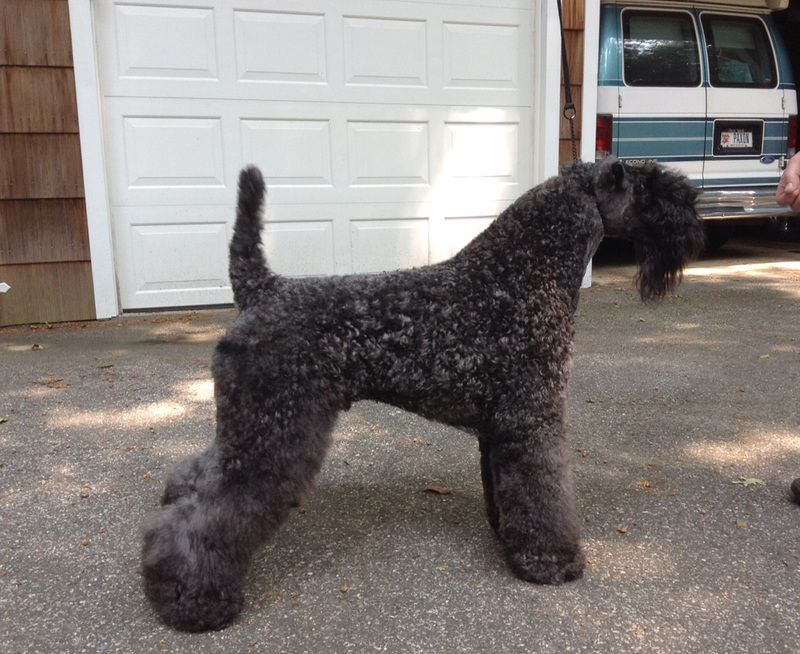 "Phelan" & her owner Philip have a GREAT weekend in RI!! !....July 24, 25 & 26th, "Phelan" is Best in Match on Fri., BOS on Sat. & wins the BREED (over a Special) on Sun & goes on to a Owner Handler's Group 3!!!! At the Sussex Co. KC...."Jesse" is awarded WD,BW.BOB!!!! ...."M'elle", Paxon's Million Dollar Baby is WB,BOS from the puppy class & "Tyra" is RWB!!! "Jesse" is now known as Ch. Paxon's Turning Heads at Kastlekove!!! "Jesse" completed his championship on Labor Day weekend with 2 BW & a BOB!!!! WTG Michelle & "Jesse"!!!! The same weekend "Tyra", Paxon's Fashionista was WB all 3 days & included a BOB!!!!
" Phelan" & her owner Philip went to "Barn Hunt" and did very well... "Phelan" got her RATI & RATN title!!!! Empire KBTC Specialty weekend...."Jesse" is BOB at both Suffolk KC shows & is Select dog at the Specialty winning a major towards his Grand Championship!!!! "Tyra" is awarded WB at the Specialty & "M'elle" wins the Sweepstakes & RWB !!!! !